Vu Barrie Lakeview Apartment, developed by JD Development Group, is a 10-storey bungalow. LakeVu Lakeview lush oasis, the unique landscape surrounding the apartment allows you to enjoy the beautiful scenery at home and cozy, the apartment also has a range of facilities: gym, snooker room, party hall, rooftop garden meeting guest lounge. Management fee is only 0.47 / foot. This place, near a good hospital, regardless of retired nursing home rent a few thousand rooms, a bed hard to find! The apartment is located near Hwy 400, within walking distance of hospitals, parks, nearby transport and leisure activities. Starting from more than 29 million (chartered) price depression, your investment choice. Purchase 15% of the year since the deposit, submitted in April 2020. The Building Industry and Land Development Association says the Greater Toronto Area's supply of newly constructed condos last month hit its highest level since it began tracking that data about 15 years ago. That's supported by the association's report that the average price of available new condo apartments in high-rise and mid-rise buildings and stacked townhomes was $677,456 in October, up about 2.4 per cent from September. Buyers and sellers are going to be spooked by his company's forecast of a flat 2018 housing market in the Toronto area, says Cam Forbes, general manager and broker with Re/Max Realtron Realty. Re/Max is predicting a 0 per cent price increase next year over 2017, and a 17.5 per cent year-over-year average price decline in the first four months of 2018. "January and February are traditionally slow, but I see it slower than normal. Then I see the market really reassessing and coming back to life strongly in May. I see a late spring market and very cautious buyers in the first four months," he said. The Re/Max Housing Market Outlook, published Thursday, is more conservative than its competitor Royal LePage, which on Wednesday predicted a 6.8 per cent rise in Toronto area home prices next year. The difference comes down to math. To recover from a predicted 17.5 per cent drop in the first four months would require a high double-digit increase for the balance of the year, which isn't necessarily realistic, says Forbes. The Re/Max forecast anticipates the average Canadian home price will rise 2.5 per cent next year. New mortgage stress test rules taking effect Jan. 1 requiring buyers to qualify at a higher interest rate, will hamper affordability in the early part of the year, says the report. The market also is still recovering from the Ontario Fair Housing Policy launched in April, including a foreign buyers tax and other cooling measures, said Forbes. It shouldn't, but that combination of factors will make buyers more cautious before jumping into the market in the first four months. Forbes puts it down to math. This year's frenzied price growth of more than 20 per cent in the first four months was never sustainable. Meantime, he said, there are two markets in the Toronto area — the 416 and the 905. "The 416 is quite hot because you have a lot of buyers trying to get in before the market changes. But that's not the case the further you get out of the core into the 905 where homes are taking three months to sell," said Forbes. Price will always matter and condos, which accounted for 36 per cent of re-sale homes on the Toronto Real Estate Board (TREB) this year, will continue to gain ground as the affordable alternative to detached and attached ground-level homes. "The more affordable the home, the greater demand. Condos in the 905 will have stronger demand from investors and users," he said. Semi-detached houses and town homes in the $600,000 range in the 905 will also continue to attract buyers. Re/Max sees some Toronto area markets doing better than others. It expects a 7.5 per cent increase in Oakville next year to an average price of about $1.34 million, while Mississauga is expected to decline 2.5 per cent to $711,322 on average. The hot market in Hamilton and Burlington is also expected to grow 4 per cent to $596,538 on average. Brampton and Durham Region are expected to see price increases of 3.5 per cent and 3 per cent, respectively. Based on a national survey by Leger, Re/Max says home buyers are balancing affordability and the features they want in a home by moving outside large cities. "These move-over buyers leaving the GTA and Greater Vancouver have contributed to increased demand and considerable year-over-year average price increases," it said, citing 15 per cent increases in Hamilton-Burlington; 19 per cent in Durham Region and Barrie and 23 per cent in Niagara. It’s been quite the year for the Canadian real estate market, with industry observers worrying about a housing bubble one day, and excess regulation the next. But according to one poll, Canadians are getting optimistic about real estate heading into the new year. The Bloomberg and Nanos Research Canadian Confidence Index has found that optimism in the national real estate market has surged in the last month. The index — a weekly pool of Canadian consumer confidence — saw a jump of 59.46 from 58.83 this week, after a month of strong numbers well above the 2017 average of 58.41. “Over the past four weeks positive views on the future value of real estate have increased,” Nanos Research Group Chairman Nik Nanos said in a statement. The news doesn’t come as a surprise to Toronto-based real estate broker Roy Bhandari. While the Canada Mortgage and Housing Corporation’s Fall 2017 Housing Market Outlook Report found that low-rise starts will decline in 2018 from 75,900 to between 66,200 to 68,400, condo starts are expected to surge to between 124,400 and 136,200 units. Bhandari says that, when it comes to investment in the real estate market, Canadians are likely thinking long term, and that the fundamentals of markets like Toronto and Vancouver are strong. What about the impact of new mortgage rules? As of January 1, a stress test will require all uninsured mortgage borrowers to qualify against the Bank of Canada’s five-year benchmark rate, or at their contract mortgage rate plus an additional 2 per cent. The revisions are intended to ensure that uninsured borrowers can withstand higher interest rates. The overnight rate — which influences mortgage and sat at a historically low 0.5 per cent earlier this year — has been raised 50 basis points by the Bank of Canada since July, with a third hike predicted in 2018. Bhandari says that, in a market as in demand as Toronto, the new rules won’t slow sales. Instead, buyers will look at the more affordable options in the market. Already, condo prices have spiked in the GTA. According to the Toronto Real Estate Board’s Q3 market figures, the average price of a Toronto condo sits at $510,206, up 22.7 per cent from $415,894 a year earlier. EDGE Towers, developer Salmor, has created a upscale apartment in the city of Mihmer, just across the street from Mcity, one of the most sought after properties in the heart of Mississauga, southeast corner of Hurontario / ELM DR. Just a 15-minute walk to Square One Shopping Center. Mature community, 5 minutes walk to the dense city of Supermarkets and Golden Plaza, convenient transportation, 20 minutes to reach Pearson International Airport. Near Hwy403 / QEW, direct to downtown Toronto. Investment preferred, $ 600 / price per foot, 582 feet 1 + Den only 340,000, stable rent cash flow, no room pressure. VIP internal booking, please contact me to purchase details! 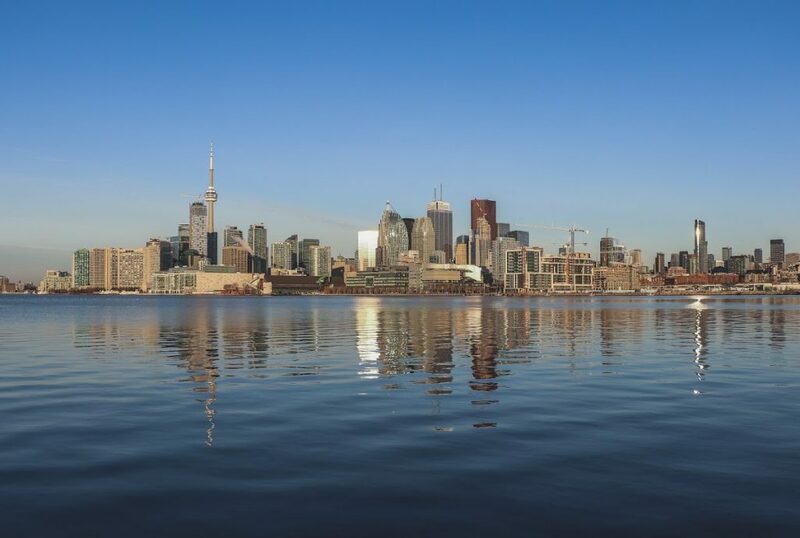 Six reasons to buy Lakeside Condo, Toronto's lakeshore best project, is the original source for Financial Street Real Estate. 1. The project is headquartered by Waterfront Toronto, a well-planned, multi-functional and infinitely creative community inspired by art and culture and the innovative Hubin East. 2. The three-tier government representative has just announced that Google has formally approved the plan to settle in Toronto's lakeshore. Lakefront region will become the world's hottest prime locations! The future, the world's major innovators are expected to have settled, here is the new Silicon Valley! 3. Builders Greenland Group as the world's top 500, Portfolio around the world, including Paris, London, Melbourne, New York, Los Angeles, and Toronto. Three years into the Canadian market, King Blue is their debut green. This project will be Green's masterpiece in Toronto. 4. Builders are well-funded, intent on using Lakeside as their masterpiece. Seven buildings will be up to the time, a new community will be born in Toronto Lakefront! As the first of seven buildings, the cheapest price! 5.Lakeside is located in Hubin New District, with novel design, luxurious atmosphere, top decoration, enjoying the bustle of modern city and the tranquil lakeside stroll, with unlimited potential for future appreciation. 6. The apartment is within walking distance to Union Station, next to Loblaws, George Brown Gollege, Sugar Beach and Corus Headquarter. Taiwanese Chinese supermarket is also nearby, life is very convenient!